The Patates are on holidays! Yes sir! We decided to come to Toronto for our holidays, since the last time we came was way too short and way too cold. We felt like there was so much more to do and see; so we decided to come back for an entire week and explore the city properly! This will be our first of several posts about traveling in Toronto: we’ll be taking you through our daily adventures exploring different neighborhoods of the city, letting you know our impressions of local independent coffee shops and boutiques, as well as sights to see! Located on Roncesvalles Avenue, “Roncie” as locals call it, is the heart of the Polish community in Toronto. 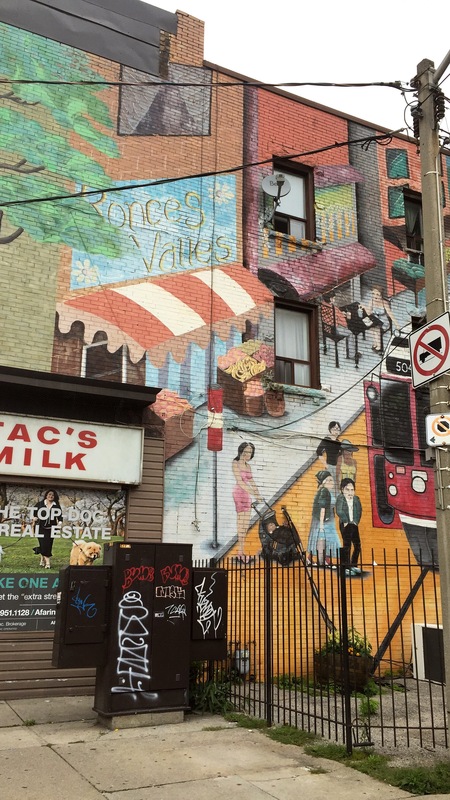 To get you situated, Roncesvalles Avenue runs north-south and is framed by Dundas St W and Queen St W.
You’d be suprised at the quantity of little boutiques, restaurants and shops that are along Roncesvalles Avenue, since it is a mainly residential area. We walked the whole thing, which took quite a while since I made Marie stop every 50m so I could go in the little shops and whine about not having enough money to buy everything, but we’d say give yourself a couple of hours to be able to visit everything and grab a bite to eat! First and most important stop of the day: COFFEE. We’d been up since 4:30 am, so that first cup mid-afternoon was a must. I’d been once before, oh, maybe ten years ago, and just had to come back! 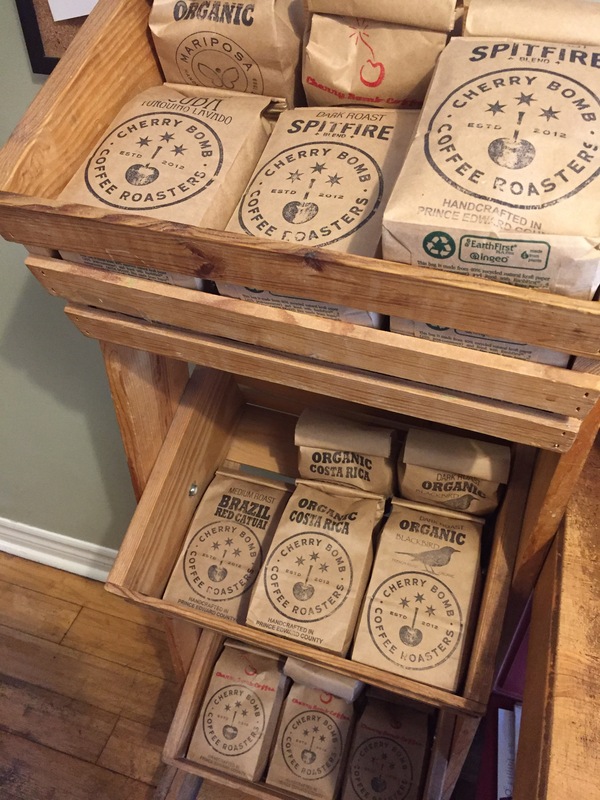 They used to roast their beans under the name Spitfire Coffee Roasters, but have since changed their name to fit their store name. They offer a rotating variety of coffees that they roast in Prince Edward County, as well as delicious pastry snacks. 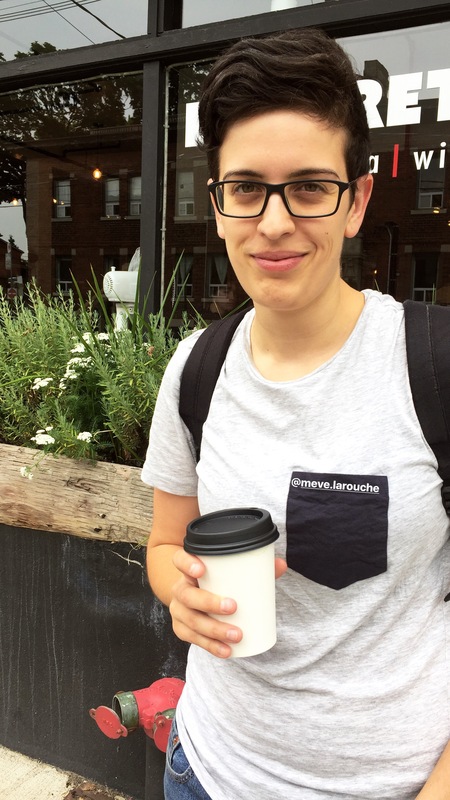 The baristas are extremely kind and knowledgeable, which is great for people like us who are from out of town and want to know about the best places to see! A few other notable coffee shops that we’re hopefully going to have time to discover are the Reunion Island (great for productive work), LIT Espresso Bar, and Extra Butter Café. Oh! Special shout out to the The Knit Café; yes you read that right, a coffee shop and knitting store all in one… If you didn’t know, I dabble in the crochet and knitting arts. This is your one-stop-shop for all things gourmet and gifts, especially for those foodies in your life. The store is pretty much bursting at the seams with spices, hot sauces, kitchen accessories, and other various goodies. We had a lovely chat with the owner, who was quite knowledgeable in all things food-related: we have a couple of stops to do downtown before we leave to check out some of his recommendations. I highly recommend popping in and finding a few gifts for upcoming birthdays or for your favorite hosts. If you’re looking to spoil a special someone with some new jewelry that is locally handmade, you’ve found the spot. This artist studio/workshop/jewellery store is located in a beautiful teal blue house, that you just can’t miss. Inside, you’ll find various accessories designed and made locally. The piece that grabbed my attention was a pair of earrings that were a laser cut-out of a Rorschach Test (#psychology101) made by Micheline Roi. Jewel Envy also offers intro lessons to jewellery making for the curious: you can register for 1 day workshops, 4 day workshops or even an 8 week classes, and even private classes! There are several other little boutiques, such as Likely General, which sells craft home decor, goods, accessories, jewellery, and more, which celebrates local and small artisans. 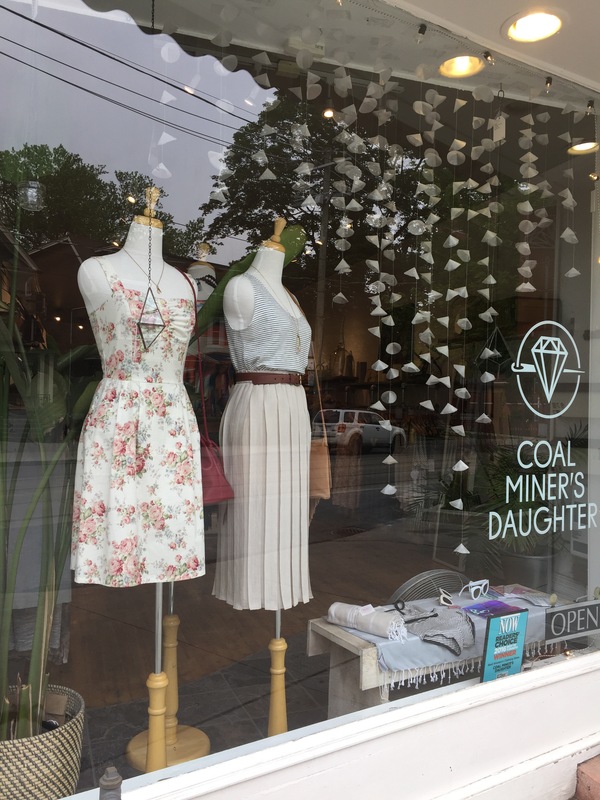 Another similar store would be Coal Miner’s Daughter, which is geared towards women’s clothing and accessories. Throughout Roncesvalles Avenue, you will also find many vintage and second hand stores, ranging from old CDs and vinyls, as well as books, clothing, and much more! We ended our day of exploring at the Sangria Lounge… and yes, it is exactly what you think it is: a cutesy little place to have a pint or pitcher of sangria and a quick bite to eat. Mind you, there are a ton of little restaurants and pubs, offering local craft beers, local foods and such, so it is worth while walking the entirety of the street before settling on one place!